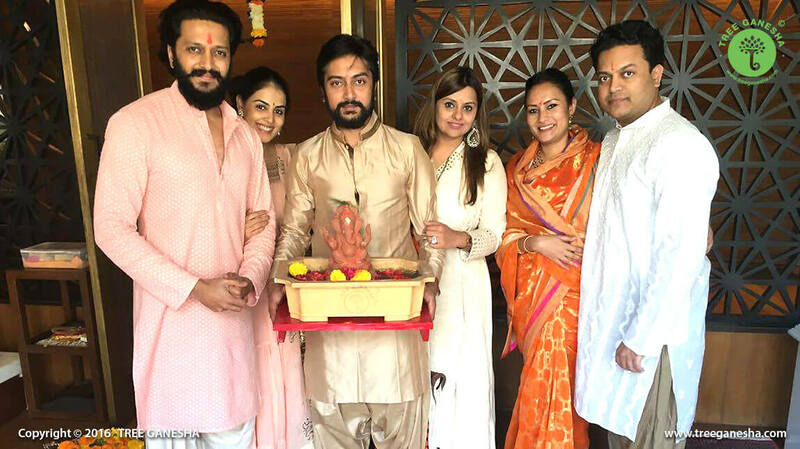 An Indian film actor Riteish Deshmukh and his Family adored Tree Ganesha with the message of spreading happiness and prosperity for the greener future! The Renowned Bollywood actress Dia Mirza visited Tree Ganesha Studio to support Tree Ganesha and appealed all the fans to adopt Tree Ganesha and celebrate Ganesh Chaturthi in an Eco-friendly way! 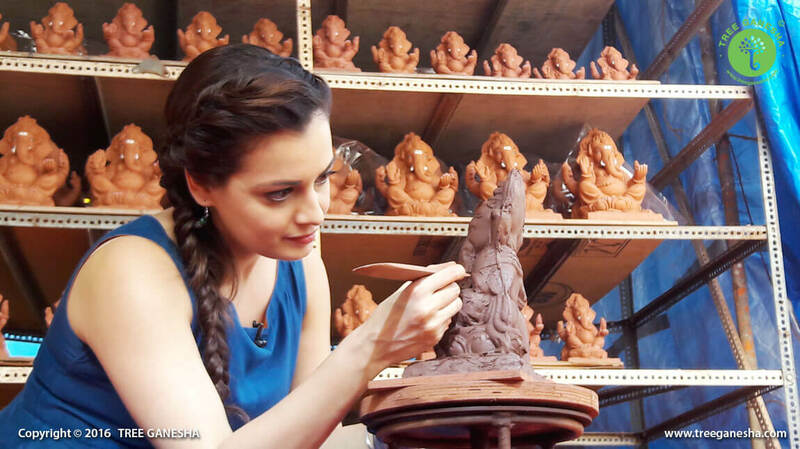 A long-standing supporter of environmental conservation, Dia Mirza shows fans on how to make Tree Ganesha an eco-friendly Idol and raised awareness saying that how crucial role do Tree Ganesha play in saving the environment. 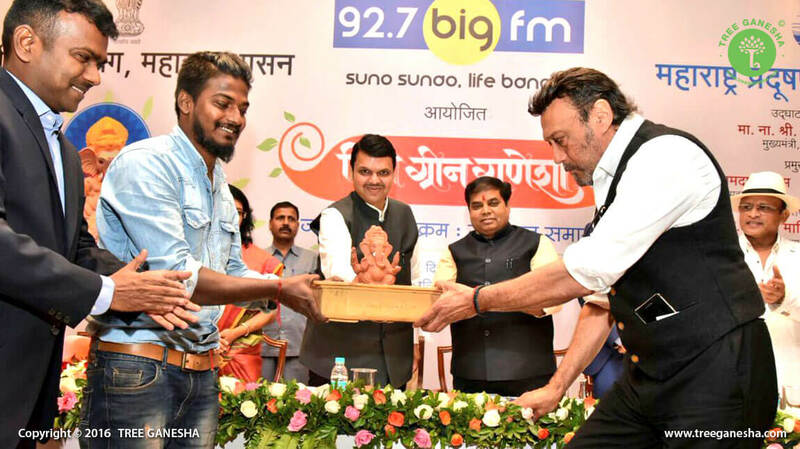 Felicitated by Hon'ble CM Devendra Fadnavis Ji and received tremendous support for Tree Ganesha by other dignitaries at the inauguration of Big Green Ganesha by 92.7 Big FM. 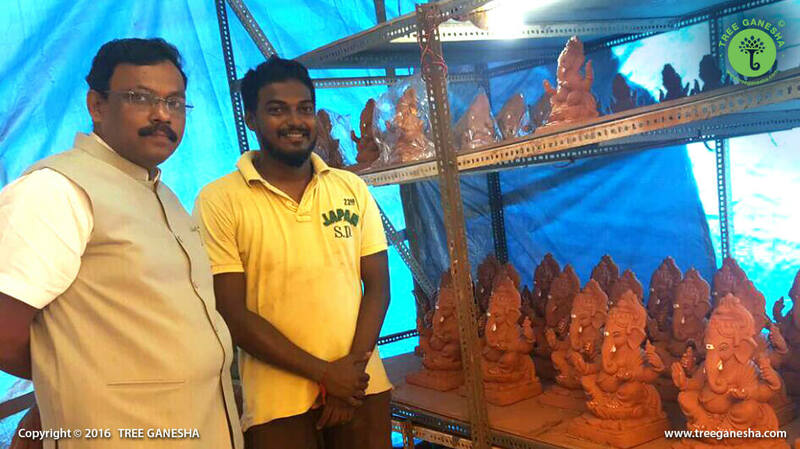 Hon'ble Education Minister Vinod Tawde Ji visited Tree Ganesha Studio and took green initiative with us by adopting Tree Ganesha at his Home. 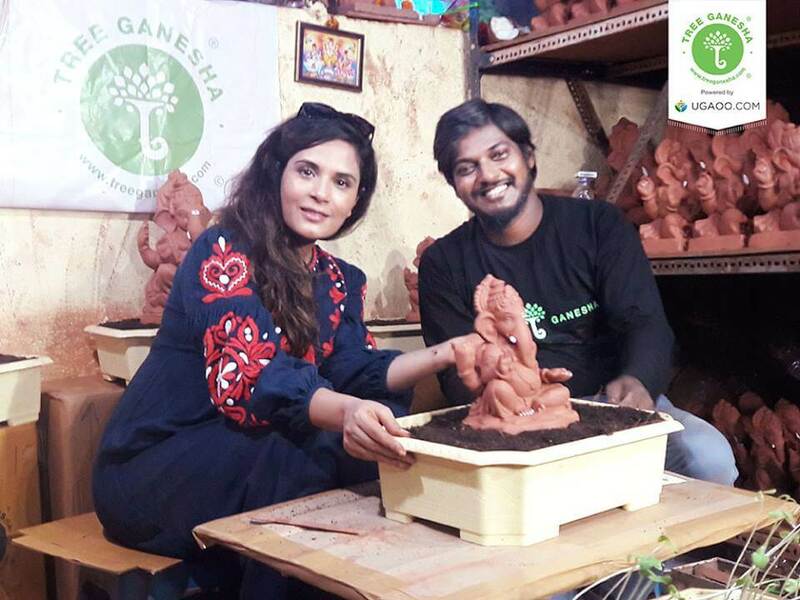 An Indian actress Richa Chadda joined our hands to spread the green initiative on the Ganesh festival and also made Tree Ganesha with her own hands by passing a message to celebrate Ganesh Chaturthi in an eco-friendly manner! Bollywood actress Sai Tamhankar visited Tree Ganesha studio and made her own eco-friendly Tree Ganesha with her hands also appealed awareness to celebrate Ganesh Chaturthi by adopting Tree Ganesha. A renowned Indian singer Prajakta Shukre worshipped Tree Ganesha at her home and supported the green revolution. 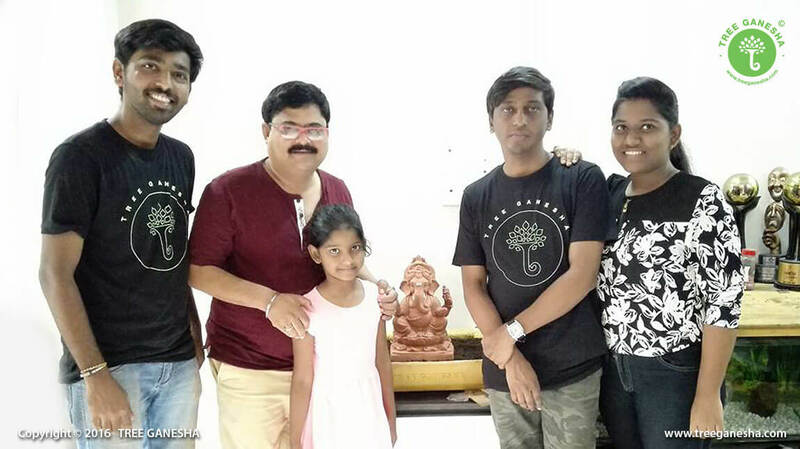 A Marathi reality show Sangeet Samrat praised the concept of Tree Ganesha and worshipped on the sets also appealed all the viewer to adopt Tree Ganesha and celebrate Ganesh Chaturthi in an eco-friendly way. Mumbai ki Rani RJ Malishka talks about the concept of Tree Ganesha with founder Dattadri Kothur and also spread the information of Tree Ganesha to all the listeners and requested to celebrate in an eco-friendly way without polluting water bodies!